David Ray Griffin's new book synthesizes his role as a Theologian and spokesman for alternative views of the events of 9/11. This will be soon be followed by a volume co-edited by Kevin Barrett, including contributions by well-known Christians like John Cobb and Griffin, Muslims like Yasmin Mogahed and Faiz Khan, as well as longtime Jewish activists and writers like Roger Gottlieb and Rabbi Michael Lerner. Advance Review of "World Trade Center"
I'm trying (yet again) to write something that will reach people resistant to the idea that 9/11 is an inside job. If you've got a couple of minutes, please read this and tell me (1) if you think it will reach newbies and (2) how to improve it. The finished essay (after your input) we'll replace this post. Thanks for your help! Got new ads starting tomorrow for the upcoming CSPAN showing thanks to a number of generous donations today - thank you so much to everyone who contributed! The ads should start running on rawstory, bartcop, and bushflash tomorrow with any luck. Open thread, have at it! Thanks to Dem Bruce Lee Styles and others for their ad suggestions and graphics work! The following two responses have been issued from Dr. Griffin and Kevin Barrett in response to the NYTimes OpEd from last Sunday. David Griffin Replies to NY Times "Conspiracy Theories 101"
If universities were to enforce this restrictive interpretation, it would mean that biology professors could not explain their reasons for accepting evolutionary theory rather than â€œcreation scienceâ€; physics professors could not profess their belief in (or against) the Copenhagen interpretation of quantum theory; and so on. 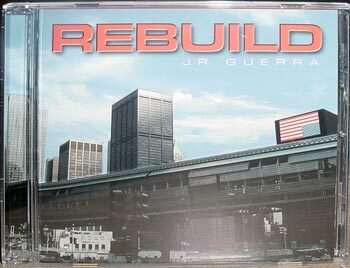 I just got sent a copy of an album by JR Guerra entitled 'Rebuild' released earlier this year. The album was created to honor the memory of 9/11 victims, their families, and Guerra's sister who passed away just weeks before 9/11. The album also serves as a distress call to all American patriots. With a primary focus on the desire to rebuild the towers as they originally were, the album also delves into the frustrations derived from the 9/11 coverup, including questioning the towers' collapses and government involvement. A cadre of Missourians stand at the vanguard of the 9/11 "truth movement." A pretty good article, the VonKliest interview they are discussing can be found here. "[Support] seems to be progressing almost logarithmically," says Steve Cassilly, a Webster Groves activist who believes George W. Bush, the Central Intelligence Agency and the Federal Bureau of Investigation were complicit in the attacks. Cassilly, the younger brother of City Museum co-founder Bob Cassilly, supports his cause by pulling a giant wooden float on his bicycle through parades. The float directs people to 911truth.org and to Cassilly's own Web site, 911busters.com.